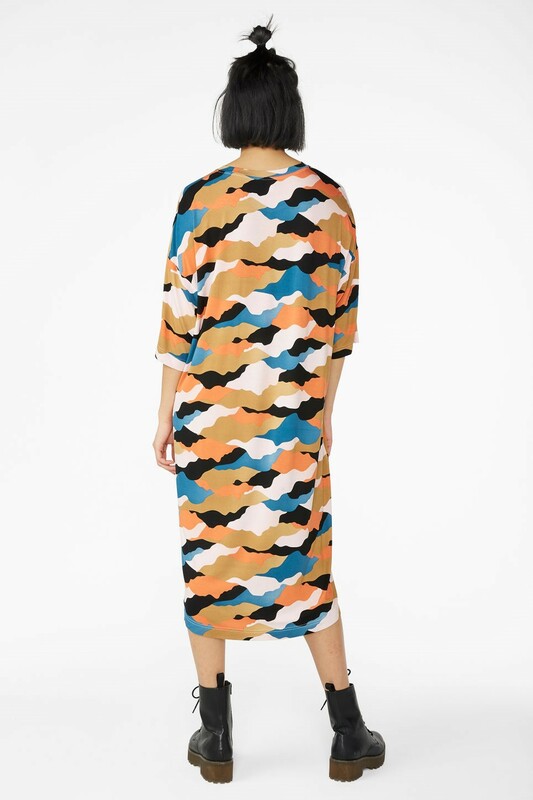 Marimekko – Aretta dress with Unikko print. 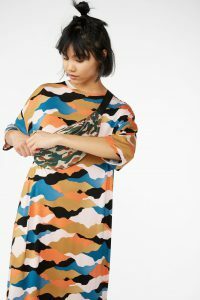 I love the Unikko print from Marimekko and I love the fit of their Aretta dress. So of course I had to have this comfortable and beautiful dress. 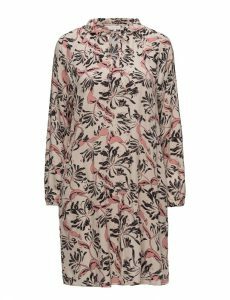 The Aretta dress in the dark grey, light pink and grey Unikko print is made of cotton jersey. 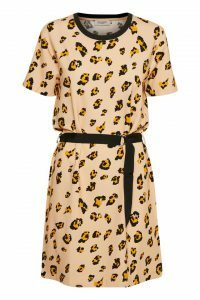 It has cropped sleeves, a round neckline, pockets in the side seams and a classic A-line cut that ends in an above-knee hemline. Fitting: Normal Fit. Height Of Model (cm): 180. Size the model is wearing: M/38. Length of product in size M/38: 97.00 cm. Main Material: 100 % cotton . Pattern: Unikko 128 mm. Pattern Designer: Maija ja Kristina Isola. Color: dark grey, light pink, grey. Made in: Portugal. Product code: 047234. Color ID: 981. 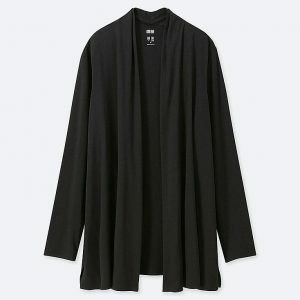 Uniqlo – AIRism uv cut seamless stole cardigan. Uniqlo are the best at basic items. Like this great cardigan. It goes with everything. I love Uniqlo and I am so happy that they have now opened in Copenhagen. A performance cardigan for any occasion with a natural texture and design. Cool Touch fabric provides instant cool comfort. Dries quickly in sweaty situations or after washing thanks to DRY technology. UV Cut feature protects the skin from ultraviolet rays. UPF (ultraviolet protection factor) of 40. 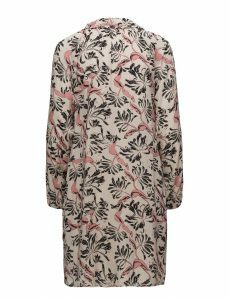 Material with a natural cotton-like texture plus performance features and a lovely, feminine drape. Relaxed stole-style design. 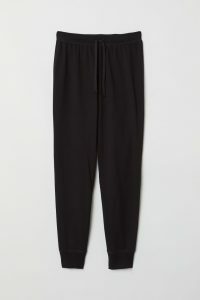 Slightly longer hem covers the midsection and hips. Relaxed silhouette with drop shoulders allows easy mobility. Loose-fitting cut. A pleat in the back of the collar creates a contoured fit. Neckline, hems, and slits are bonded instead of stitched, creating a comfortable feel. This all-purpose top is ideal for a light workout like yoga or hiking as well as everyday wear. 79% Polyester, 16% Lyocell, 5% Spandex. 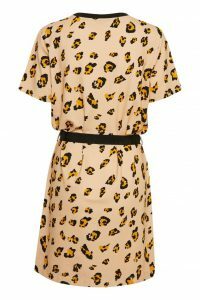 Soaked in Luxury – Leanne dress with animal print. Nice fresh colour that brighten up. I use it without the belt on relaxed days. Feminin kjole fra Soaked in Luxury med et enkelt sporty twist. Leanne-kjolen er designet i et blødt og stretchy jerseymateriale med et casual fit, all-over print, korte ærmer og et matchende bælte i taljen. Materiale: 95% viskose, 5% elastan. Stylenummer: 30403073. Varenummer: 4737600045. 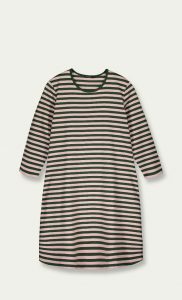 Marimekko – Aretta dress in dark green and pale pink. These stripes in unusual colours are so refreshing. 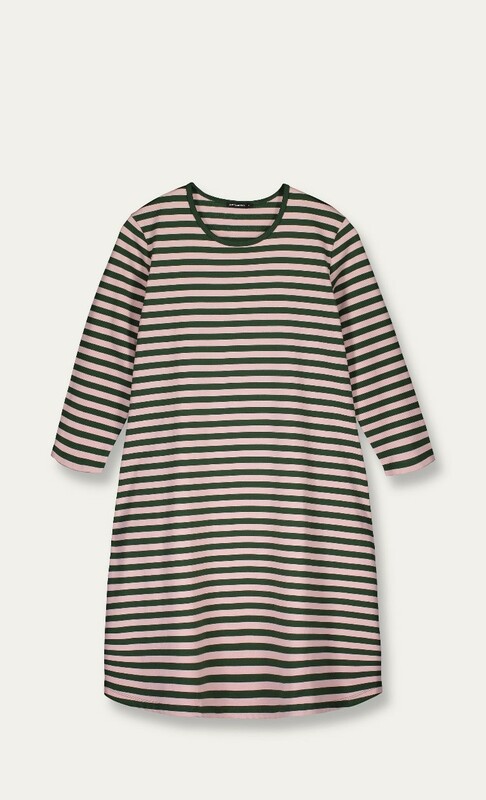 And the Aretta dress from Marimekko has the perfect fit for me. A-line, three-quarter sleeves and a perfect length. I got in on sale in the Marimekko webshop. Unfortunately, it is now sold out. But they still have it in white and black. 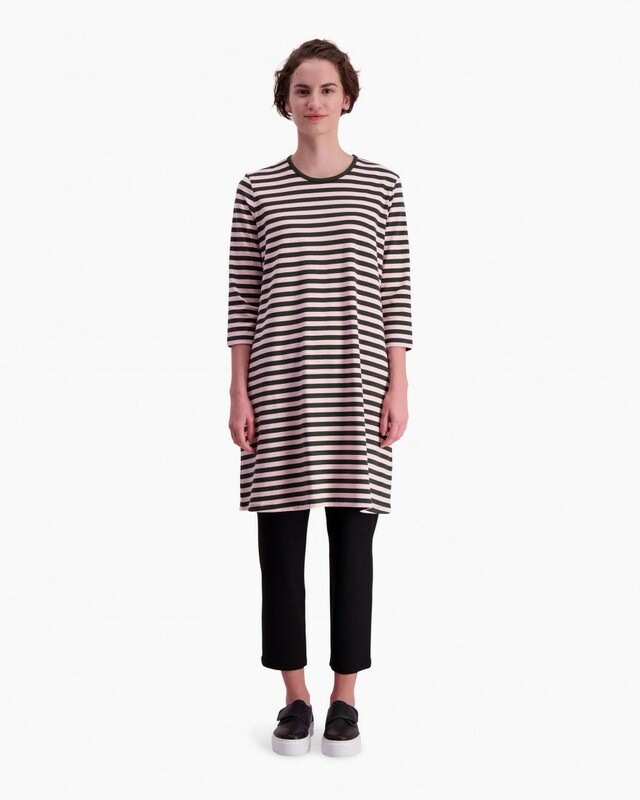 This Aretta dress is made of cotton jersey and has a wide, slightly flared cut to an above-knee hemline. Details include neckline binding, three-quarter sleeves, and side slit pockets. Fitting: Normal Fit. Length of product in size M/38: 97.00 cm. Main Material: 100% cotton. Malene Hocke – grey partisan cashmere scarf. So soft and beautiful. A warming scarf is always a good idea. Also in spring. 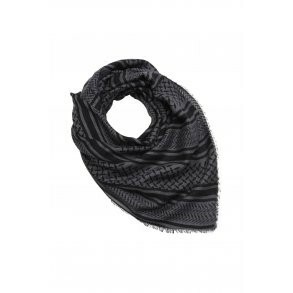 I got this scarf in grey in Magasin in Copenhagen. But they don’t have it in their webshop. 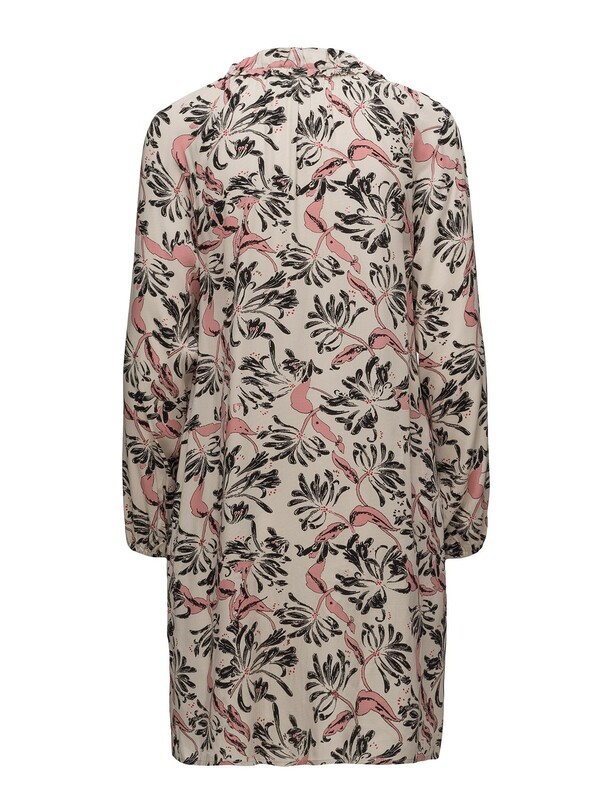 However, I found it on Malene Hocke’s webshop in rose. Style: Partisan Grey. Fabric: 85 % Cashmere / 15 % Silke. Size: 105 x 105. 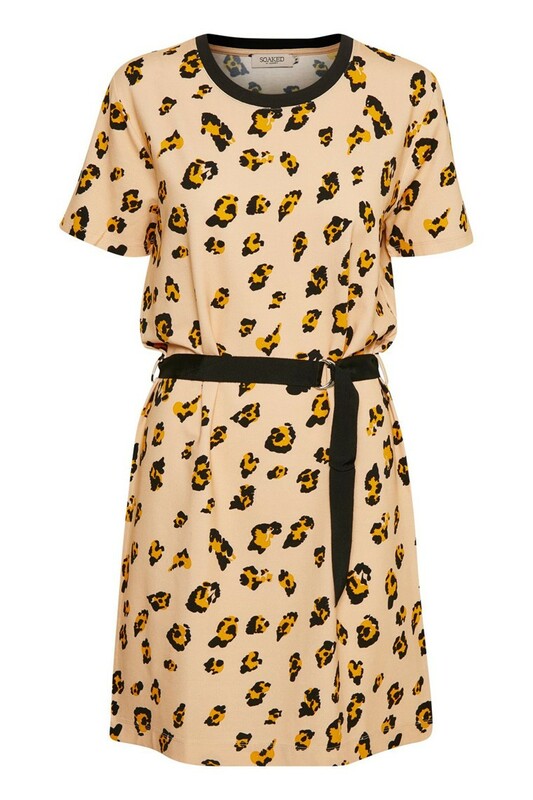 Monki – t-shirt dress with camo print. A camo print in funny colours. 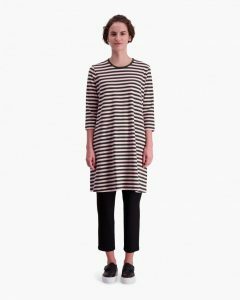 A cool dress for relaxed days. 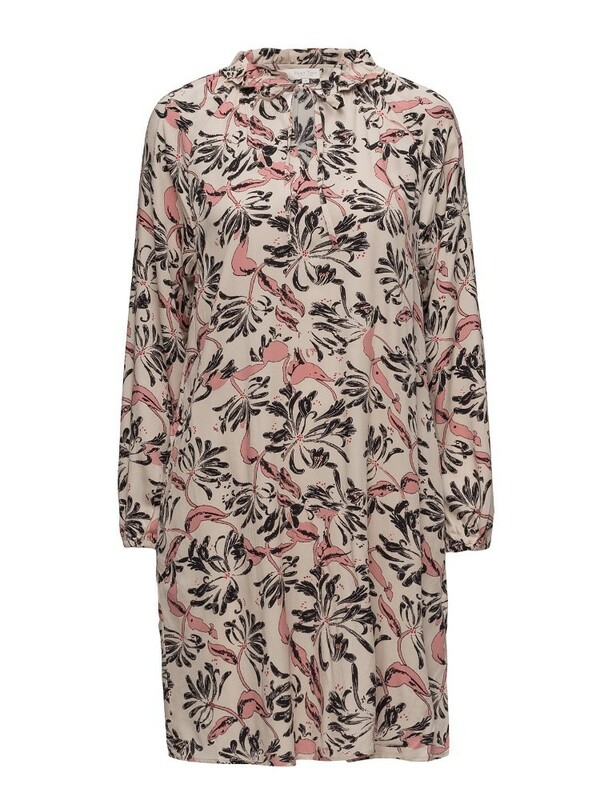 An oversized ‘n’ flowy dress with a rounded neck and 3/4 length sleeves. In a size S the chest width is 122 cm and the length is 110,5 cm. The model is 177 cm and is wearing a size S. No: 0607888016. 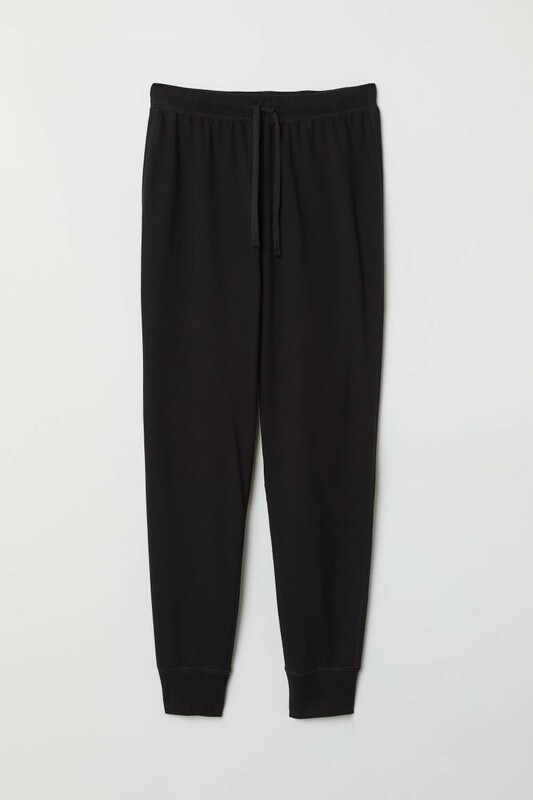 H&M – black sweat pants. 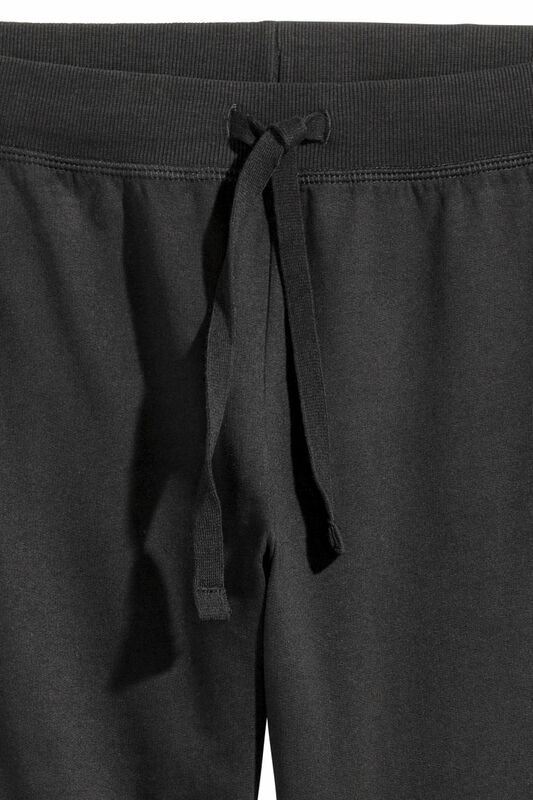 These lightweight sweat pants are great. I use them for yin yoga. 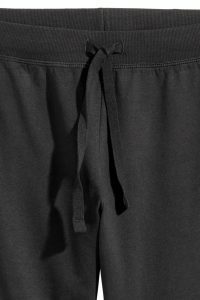 Sweat pants i let sweatshirtkvalitet med elastik og snøre foroven. Ben, som bliver smallere, og ribkant forneden. Sammensætning: 100% bomuld. Varenr. : 0536139006.